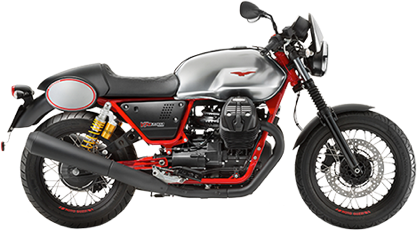 Just a few months after its début, Vespa Primavera and Vespa Sprint, the modern versions of the legendary “Vespino”, are now also available with an ABS braking system. 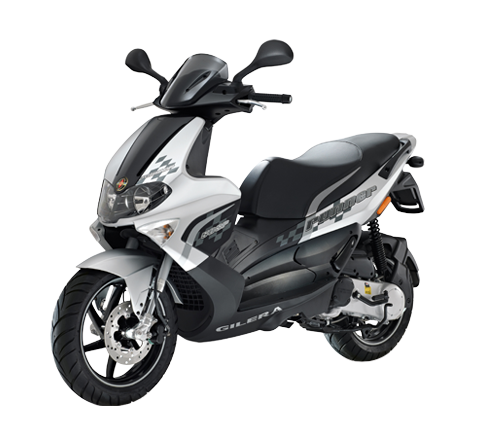 The Spring 125 version and the 125 and 150 Primavera versions, the “small body” Vespas, now have a further technical advancement aimed at increasing safety. The front wheel on Vespa Primavera ABS and Vespa Sprint ABS has a speed detection system – a sensor and a tone wheel – which instantaneously measures its speed and deceleration compared to that of the scooter. The sensor dialogues with an electro hydraulic control unit which activates the ABS system if the wheel decelerates abruptly, preventing locking and the consequent loss of control over the vehicle, thereby guaranteeing stability and efficient braking even on low friction coefficient surfaces. This sophisticated safety system, developed specifically for the Vespa “small bodies”, can also boast being lightweight, leaving the vehicle's kerb weight virtually unchanged in true Vespa tradition as one of the lightest scooters in the world. The new ABS system contributes to raising the already high safety level that the new Vespa Primavera and Vespa Sprint guarantee. The painstaking care taken in designing the various components has resulted in previously unseen levels of rigidity, but without compromising the weight of the structure. 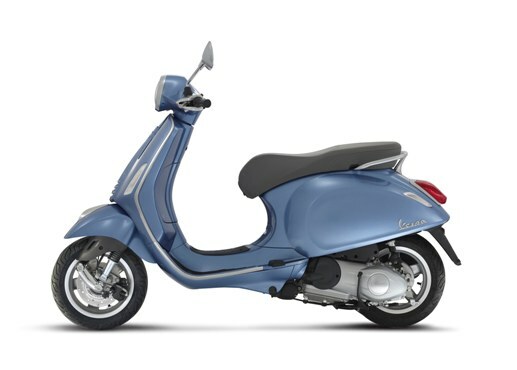 Compared to Vespa LX and Vespa S (the models which Vespa Primavera and Vespa Sprint replaced respectively), the body is 36% more rigid and the longitudinal flexion has increased by an incredible 154%. The safety and riding pleasure advantages are tangible, where riders will discover a Vespa with dynamic qualities and exceptional stability and handling. Vespa Primavera and Vespa Sprint have also introduced a new type of front suspension which provides a completely redesigned system capable of cutting sliding friction in half, increasing riding comfort and the ability to absorb bumps in the road. 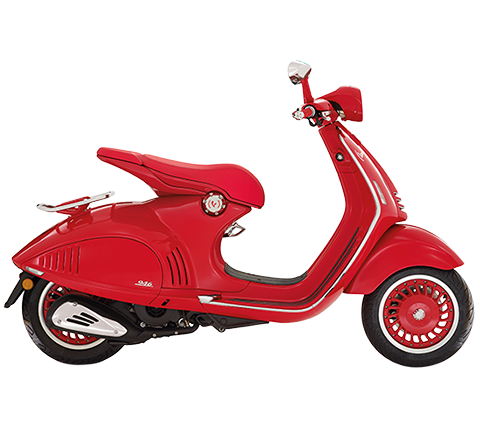 Other contributors to road safety are the new wheel rim sizes on both the Vespa Primavera and Vespa Sprint. The new Vespa Primavera is created appropriating all the values which made it a success forty-five years ago in the first Primavera version. In fact, the first Vespa to bear this name made its first appearance in 1968 and was a revolution: small, agile, driven by a powerful engine, the Primavera gave several generations wings and was manufactured without interruption until 1982, becoming a legendary model but also one of the greatest business successes in Vespa history. 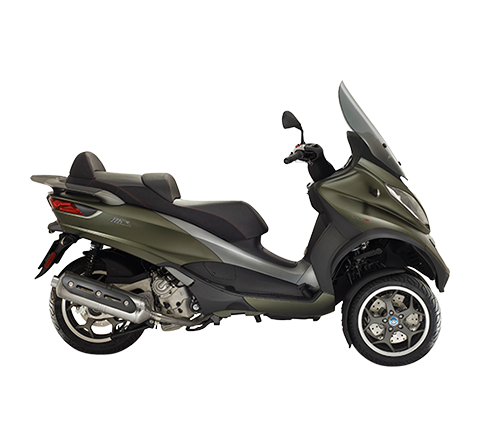 Youthful, innovative, technologically ground-breaking, agile and dynamic, with an eye to the protection of the environment in which it was a star, its modern day heir – once again called Vespa Primavera – is a star in its own time, inheriting all the freshness and joy of living from its predecessor. With a radically new design, a new body in steel, new sizes, still agile but even more stable and comfortable, Vespa Primavera is reborn – powered by the ultra modern and ecological 125cc and 150cc 4-stroke 3V engines – incorporating some of the stylistic and technical solutions of Vespa 946, the most prestigious, expensive and technologically advanced model ever conceived in Vespa history. Full of the most advanced technical equipment available today and completely redesigned in order to obtain superior stability and handling levels, Vespa Sprint is born with riding pleasure in mind in order to make even the most routine daily commute fun. From the mid sixties a new generation of sporty Vespas was invading European streets. They were small, quick, extremely agile and modern, just like the mentality of the guys and girls straddling them. And so, generations seeking freedom and following the speed of ideas which were changing the world in those days were able to find their wings. So Vespa Sprint embodies the heritage of a tradition of vitality and youthfulness. It was conceived as an evolution of the Vespa Primavera project and intended for young people of all ages, enhancing the sport style that its legendary name evokes. 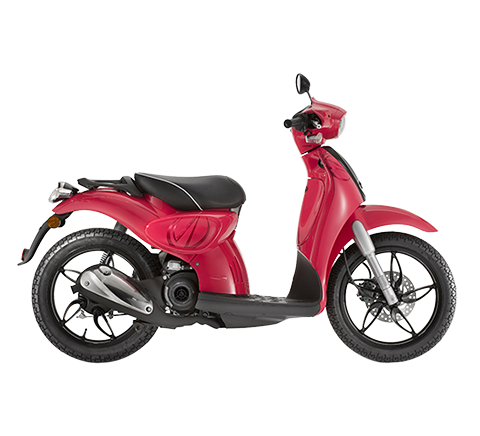 Vespa Sprint was created with a small and lightweight body that is also comfortable and protective, entirely made in steel and characterised by an extremely youthful line, marked by a gritty rectangular headlight. 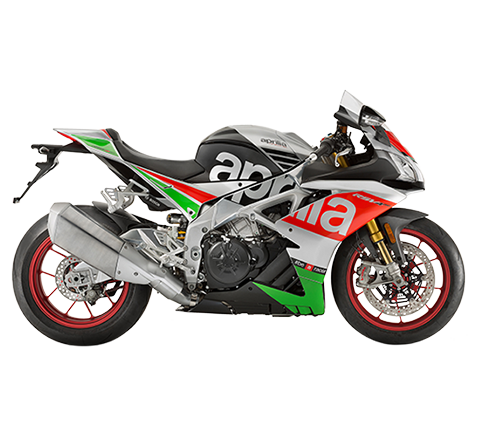 It has large 12” wheels with spectacular aluminium alloy rims and it is powered by one of three ultra-modern and ecological engines available in two different sizes. 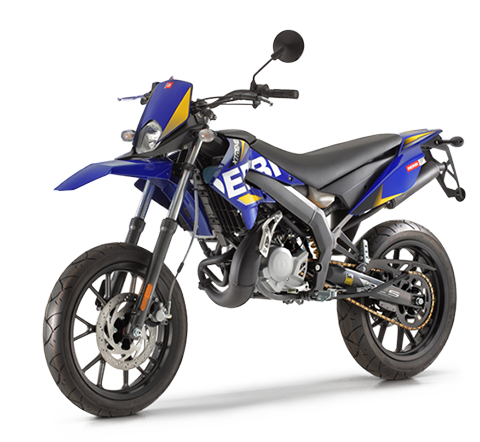 The 125cc version adopts a single cylinder 4-stroke engine with 3 valve timing and electronic injection which constitutes one of the global reference points in terms of low consumption and environmental friendliness.